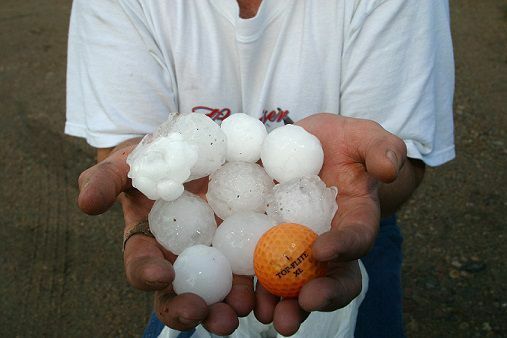 Tips on what to look for after a hail storm | Law Office of Jim Zadeh, P.C. 1. Make your claim as soon as possible. If you wait, insurance companies sometimes argue that non-covered events after the storm caused the damage. 2. You will not be penalized for filing a claim. So, even if you are unsure whether you have damage, make a claim. Rate increases are based on your geographic location. Your rates may increase even if you do not file a claim because we are now in an area that has sustained substantial storm damage. Homeowners insurance is not like car insurance on this issue. 3. Make the claim in writing. In two of our pending cases, State Farm has taken the position that a phone call to their claim center was not sufficient even when State Farm subsequently assigned a claim number, sent out an adjuster and paid part of the claim. I wish I was making this up. ... I will file the claim for our roof on-line, so I have a record and it is in writing. 4. Understand that roofers cannot negotiate your claim with your insurance companies. A Texas law passed in 2013 makes it illegal for a roofer to negotiate or try and settle the claim with your insurance company. If the roofer says they can or will negotiate with the insurance company on your behalf, watch out. 5. Watch out for "free" inspections. There are stories of groups who travel the state following storms like these. After the storm, they knock on your door and offer to conduct a “free” inspection and then try and get you to sign a contract. Be wary of these groups as they may add no value to the process or can cost unexpected fees. 6. Do not trust that the insurance company's estimate of the damage to your roof is accurate. We have many cases where the insurance company substantially undervalued the cost of repairs or replacement. Get a second opinion from a local reputable roofer. This may take some time due to the number of damaged roofs but getting someone local and reputable will go a long way to getting your roof fixed right at a fair price. 7. There are instances where you should insist on a full replacement of your roof and not just replacement of part of your roof. Insurance companies often tell you only part of your roof is damaged and can be repaired. But aesthetically it may look terrible and in certain circumstances, you have a right to insist that the full roof be replaced if the repairs make the roof look like a patchwork roof. 8. It is OK to disagree with the value the insurance company offers. The insurance company will pay you the amount they think the claim is worth even if you take a position that they are underpaying the claim. You can then try and work out the difference between your value and their value. I will do a future post with more advanced tips, including what to look for regarding leaks and interior damage, a rough rule of thumb for estimating the cost to repair or replace your roof and why outside air conditioner units are tricky in hail cases. I hope everyone is OK and feel free to call 817-335-5100 or email [email protected] if you have any questions or need some help. Required disclaimer: This information is for informational purposes only and not for the purpose of providing specific legal advice. Great advise Jim. I will be looking at my roof when I get home tonight.